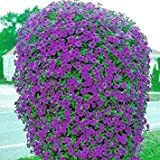 Beautiful Purple Wave Petunia Seeds (30+ seeds) Comb.S/H! 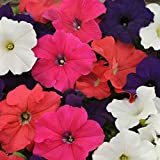 Petunia plants for sale – Easy plant to grow, mostly grown for the ornamental flowers and for the leaves, planting in spring to summer or in hotter climate autumn to early spring, better to buy plant or another option to start from seeds. 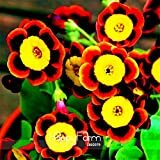 Blooming can bloom most of the year in trumpet shaped flowers that appear in red, pink, purple, blue, yellow, orange, black, white or mix color.